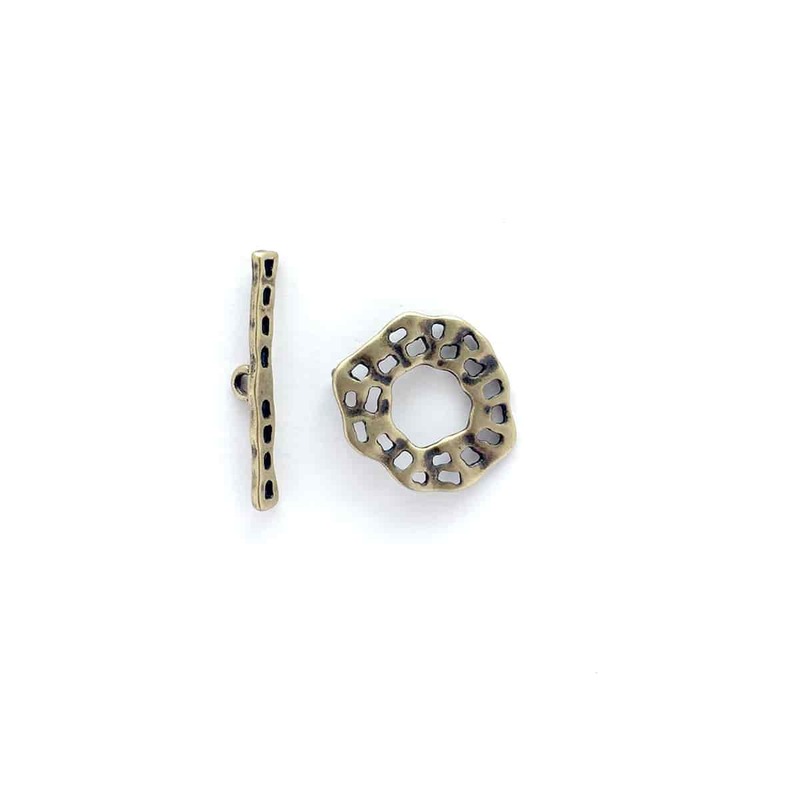 SilverSilk's art deco-inspired toggle clasp is made from a pewter cast. 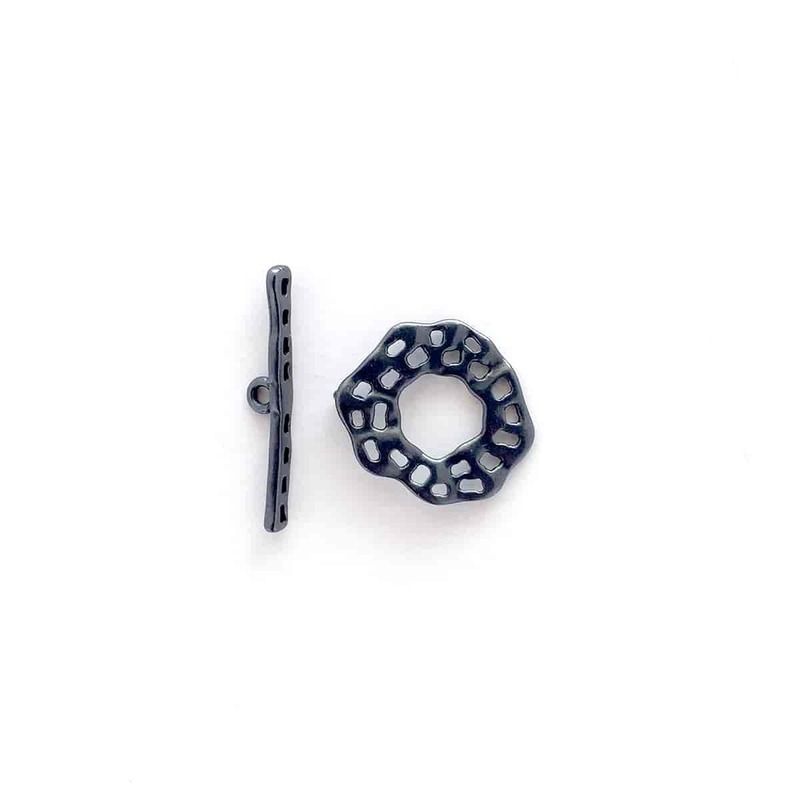 The toggle bar measures 1 inch long and the toggle catch is 3/4 inch wide by 3/4 inch long. 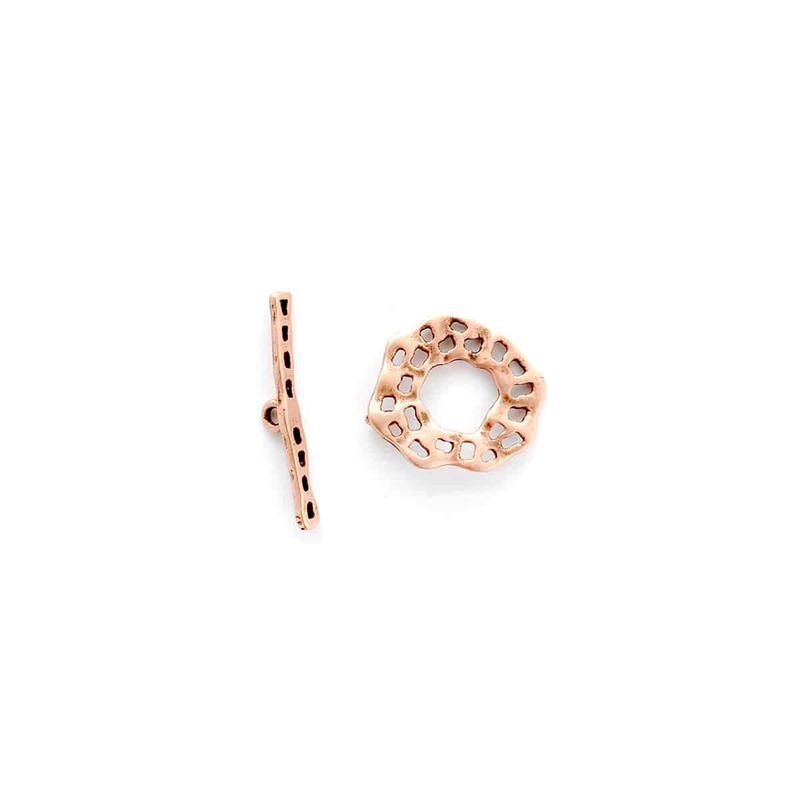 This stylish clasp is the perfect complement to our knitted wire.